China?s online luxury sales jumped 71 percent between 2011 and 2012 and are projected to grow at double-digit rates for the next several years, according to a new report by Observer Solutions. The report titled ?Converging Trends: The Limitless Potential for Online Luxury in China? found that Chinese consumers are rapidly turning to the Internet for purchasing goods and services. In addition, the data suggests that the number of consumers making use of ecommerce platforms is expected to increase in the upcoming years. ?Surprisingly, many Western luxury and aspirational brands either did not see the value of the online channel or they did not conduct enough research about it and, as a result, they adopted the wrong strategies,? said Julia Zhu, founder of Observer Solutions, Washington. ?Given the saturation of luxury brands in Beijing and Shanghai, companies need to turn to ecommerce in order to get their products in the hands of luxury consumers in inland provinces,? she said. ?It is too capital- and time-intensive to rely solely on opening up brick-and-mortar locations in China.? Converging Trends: The Limitless Potential for Online Luxury in China is based on both quantitative analysis of data collection from relevant databases and qualitative research including executive interviews and secondary research. The growth of China?s luxury market parallels the rise of the country?s Internet users. The number of Internet users has already surpassed that of the United States, which will soon be followed by overall online sales. In addition, sales per user, amount spent online and preference for online as opposed to in-store shopping have all climbed. From 2011 to 2012, online luxury sales increased 71 percent. However, the boom in the luxury sector has failed to rouse some luxury brands from their inattentiveness. 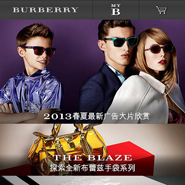 Many luxury brands continue to have ineffective Chinese Web sites. The absence of simplicity, clarity and taken-for-granted services puts a leash on Chinese ecommerce, per the report. Additionally, Chinese consumers are wary of purchasing from luxury brands when authenticity is hard to verify and products arrive sporadically. Nearly 50 percent of consumers fret that online luxury products are inauthentic. However, 70 percent of Chinese consumers look to the Internet for price reasons. An easy way to eliminate the fear of a bad consumer experience is with a reliable online presence. Building new bricks-and-mortar stores is not cost-effective and does not acknowledge the evolving commercial landscape. Instead, cultivating a brand?s online presence is the most logical solution, per the report. A sophisticated online presence lessens the potential of missed-sales and requires less investments. Indeed, Chinese consumers heavily research luxury items online . Approximately 70 percent are open to using the Internet for luxury shopping. The report lays out four guiding principles for ecommerce success. These principles are relevant product offering, tailored customer service, proactive customer communication and engagement, and localized business operations and presence. Regardless of the potential, luxury brands should carefully execute their business operations in China just as they would in other countries. Some luxury brands have understood the schematics and potential of Chinese ecommerce and have acted accordingly. ?The whole point of the report is that it?s time for Western luxury and aspirational brands who want to sell to Chinese consumers to raise their attention to the ecommerce channel and reconsider their ecommerce strategy,? Ms. Zhu said. ?More importantly, doing ecommerce in China is not simply a matter of translating the home market?s Web site,? she said. ?It requires serious localization to meet the market needs and run their online presence the Chinese way.? Like this article? Sign up for a free subscription to Mobile Commerce Daily's must-read newsletters. Click here!